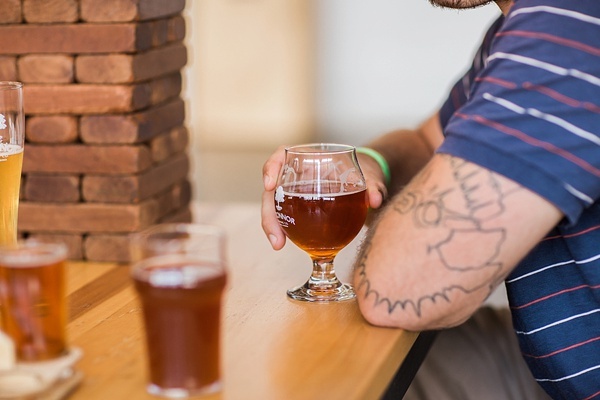 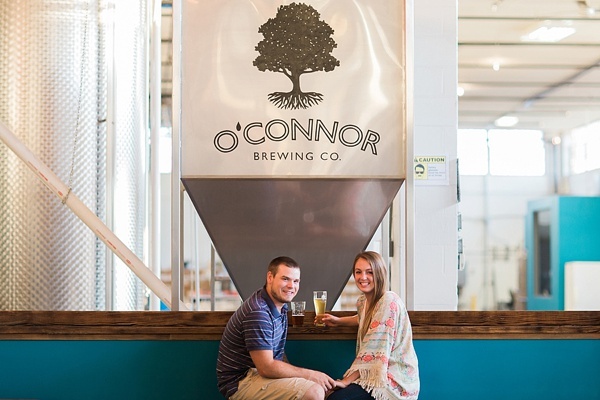 With Tanner's love for home brewing and craft beer, it made O'Connor Brewing Co. in Norfolk the obvious choice for his and Darian's engagement session! 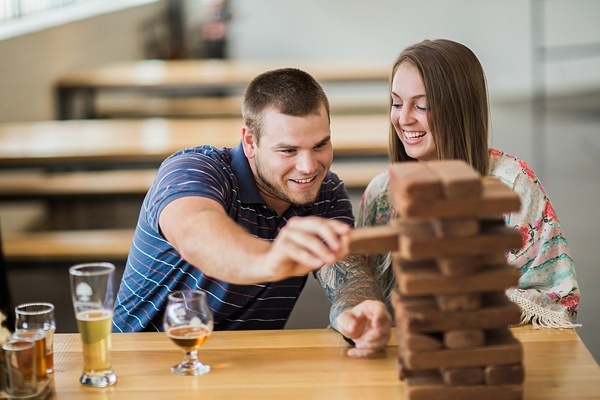 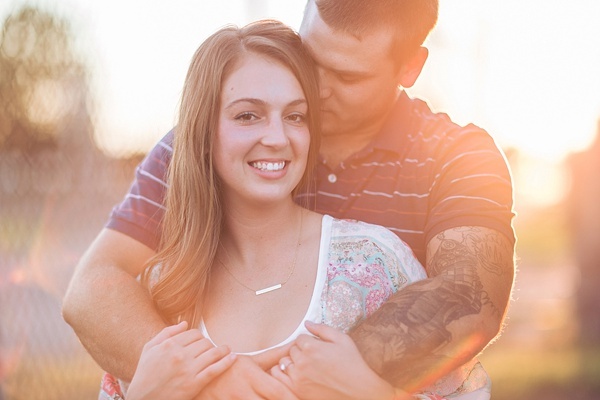 With a few pints, O'Connor's Flagship Flight, a hilarious game of Jenga, and some gorgeous golden hour light right outside, these two lovebirds shared some great laughs and made some fun memories together in front of Heather and Jared Photography's camera. 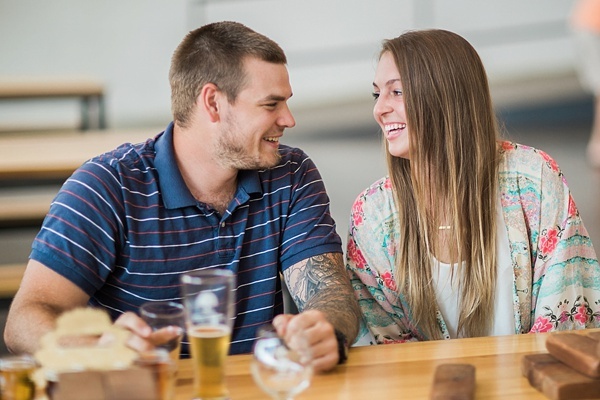 You just can't go wrong when you have beautiful smiles like Darian and Tanner's and a table speckled with glasses of delicious locally-brewed amber goodness!